Meet the team at Clear Creek Dentistry! We know that choosing a new dentist can be a tough decision. We take great pride in knowing that our entire team is dedicated to your comfort and dental health. 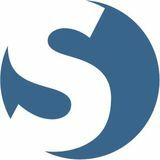 If you’re looking for a Silverdale dentist, your search has ended. We are looking forward to meeting you! 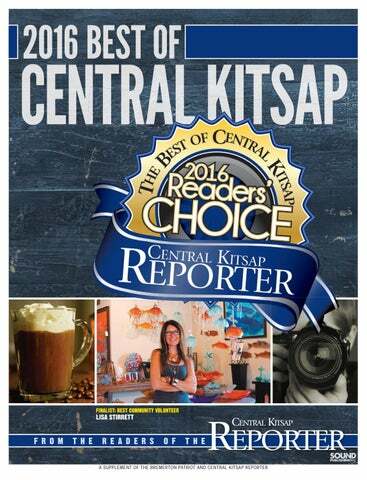 The Best of Central Kitsap 2016 Regional Publisher: Terry Ward General Manager: Donna Etchey Advertising Manager: Rich Peterson Marketing Representatives: Jessica Martindale, Ariel Naumann, Caleb Ward Cover Design: Kelsey Thomas Creatie Services Manager: Bryon Kempf Creative Artists: Kelsey Thomas, Vanessa Calverley, John Rodriguez, Mark Gillespie Copyright 2016© Sound Publishing Inc.
Central Kitsap for Voting us Best Auto Service Shop 2016! Interactive Teller Machine M-F 7:00am - 7:00pm (at select locations) Learn More > ourfirstfed.com > 800.800.1577 >3035 Bucklin Hill Road *First Federal was voted finalist in Mortgage Company, Financial Institution, Places To Work, Community Volunteer: KirstiAnn Stecker, Loan Officer: Shawnee Spencer and Financial Planner: Enrico Sio in the 2016 Central Kitsap Reporter Best of Central Kitsap poll. for all your Chiropractic needs 9 years in a row! & Best Massage Therapist 5 years in a row! Niran Al-Agba, M.D. Thanks to all our wonderful patients and staff for your support. Over 46 years serving Kitsap County residents. 9910 Levin Rd Ste #200, Silverdale • 360-692-8588 All children welcome!